Questions about Kichler Lighting 6494OZ? 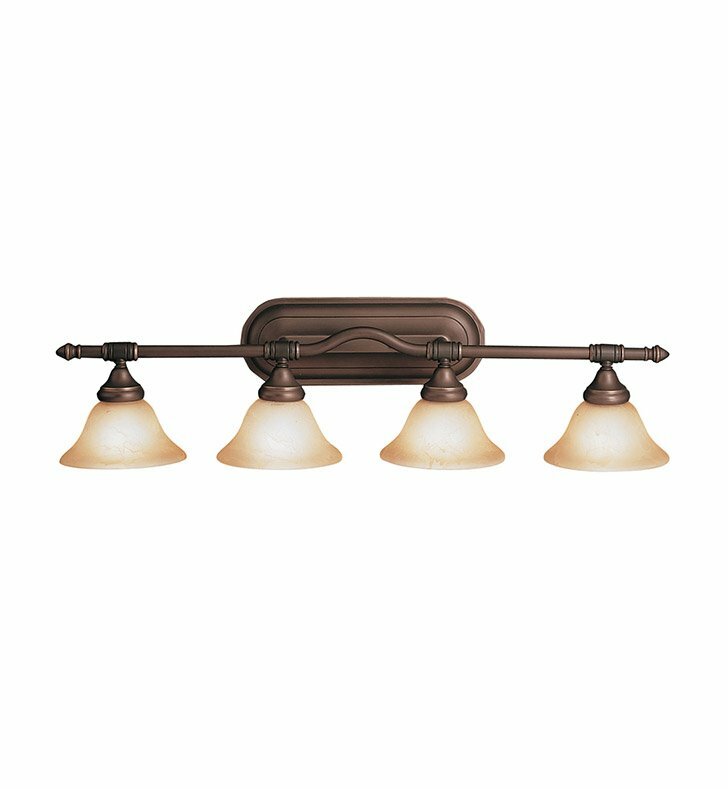 This 4 light wall fixture from the Broadview collection utilizes a classic single-bar design to complement any space. With it's versatile design, Olde Bronze finish and Etched Sunset Glass, this piece can easily make any bathroom shine. May be installed with glass up or down. Dimensions: H 9" x W 36"